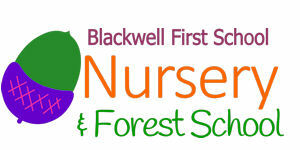 At Blackwell First School Nursery and Forest School we aim to educate the whole child and to ensure children are happy, healthy and fulfil their potential in terms of development of skills for life, social and moral values and academic success. • Stimulating and creative play, with a focus on Personal, Social and Emotional Development, Physical Development, and Communication and Language. • Opportunities to develop these skills in the outdoors as well as the indoors. • Daily Forest School led by an experienced Forest School Leader. • Experienced Early Years practitioners. • Opportunities to develop a healthy lifestyle with exercise, outdoor play and home cooked meals provided by ‘The Blackwell Kitchen’. • Wrap around care in the ‘Blackwell Before and After School Club’. Our Early Years curriculum offers stimulating and creative play with a focus on the Personal, Social and Emotional Development, Physical Development, and Communication and Language areas of the Early Years Foundation Stage curriculum as set out by the Department for Education.